Cette page contient des éléments qui doivent être traduits. Halo : Rebirth est l'épilogue de Halo : Silentium, à l'origine accessible au format audio grâce à un code, et inclus textuellement dans la version poche du livre anglais. Il est caché par un code constitué de pièces de puzzle dispersées dans le livre (ces pièces sont absentes des éditions françaises). 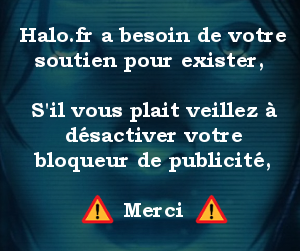 Une fois celui-ci reconstitué et le code entré dans la section Classifiée de Halo Waypoint, il donne accès à 20 000 points d'XP sur Halo 4 et 45 minutes de lecture par Greg Bear de la première partie de l'épilogue. La deuxième partie fut également découverte dans un autre code, donnant 50 000 points d'XP, l'emblème Overachiever et cinq minutes de lectures pour une partie cachée de l'épilogue. La première partie raconte la réensemencement du point de vue de Traqueur. Lui, ainsi que Vinnevra et d'autres humains, ont été transférés de la première à la seconde Arche et sont surveillés par des Forerunners jusqu'à leur réintroduction. Il demande à ce que son peuple, les Floriens, soient réintroduits dans un lieu spécifique, connu aujourd'hui comme les îles de Florès. La deuxième partie, incluse dans la première, raconte le jugement de Mendicant Bias suite à sa défaite. Après avoir été emmené sur la Petite Arche, il est jugé pour trahison mais est gardé vivant, étant donné qu'il connaît de nombreuses choses sur le Parasite, et est enterré dans le sable de l'Arche, avec pour seule pensée l'expiation. Rebirth. By Erik Bear and Greg Bear. For a moment after Riser awoke, he thought he might be in the land of the dead. Everything was dark and cold, and he could not move. Tiny lights winked on one by one, encircling his field of vision. Then an invisible hand loosened its grip and he could move his arms. He sat up, bumped his head, tensed all over then lay back again. This made him flick the whites of his eyelids and growl a threat way back in his throat. But nobody could hear him. He was lying alone in an enclosed bed. Lifting himself up a bit, through the hard clear canopy he could see hundreds of other beds in rows, and around them a great long chamber; cold, and blue, and dark. What he could see confirmed that these hard prison beds were occupied by hamanush and chamanush still asleep, Riser was awake. Slowly, reaching where he could to scratch, checking out skin, and fur, and ribs, and upper limbs, he remembered where he was: in the belly of a Forerunner sky-boat. Forerunners took us from the great Ark, said it was the only way to save us, to save everything. "How do you feel?" A voice asked. He jerked, then looked to his left and saw a female Forerunner. She bore some resemblance to the Lifeshaper who came in dreams, but she was not that one. No one else could be the Lady. The canopy of the bed opened. Riser climbed out slowly, with great dignity. This was serious. He had to show strength and calm. He had to be careful. Like all Forerunners, this female was much taller than the little Florian, taller by several hand-spans than any human. Her armor was decorated by silvery tassels that sparkled at her slightest move. Shimmering like rain over a campfire, she reached out to him. He drew back, but she was quick, from her hand flowed a bright, pulsing liquid jewel pattern. She manipulated this radiance with the sixth finger of her other hand. Riser looked around, eyelids flickering, but saw no way to escape. Establishing this as a fact, he decided it might be time to learn why he was alive, why all these humans were alive, who was here, and who was not. There had been the garden, the reunion, the separation, the pain, everything in pain! But enough of that. He stretched his joints and rubbed his arms. His fur was clean; too clean. They had done things to him! The Forerunner watched him closely. He did not like the scrutiny of larger animals. "Stiff", he complained in a measured testing tone. Threats and bluster were useless here, he could see that. "The stiffness is to be expected," the Forerunner said, speaking his language as if born to it. Riser's fear grew. He did not want Forerunners to pay attention to him again. He wanted to leave. The chamber reminded him of the ghost gallery on the Halo. Too cold, too clean, no smell. The Forerunner's arms bristled and he backed away from the tall female until his feet came to the edge of the platform. The Forerunner drew in closer. From what little he understood of Forerunner expressions, she appeared concerned. Perhaps she meant to be kind. He did not trust any of that, not yet. He knew all too well what Forerunners were capable of. They had once reduced humans to near-extinction. What cruel fate might they bring this time? "You are Riser," she said. The radiance flowed up and around him. His body was soothed, but his mind recoiled. This was the name his friends used, but he had not given her permission. "I have sad news, Riser. We have saved only a few of your kind, chamanush." She did not use that word properly. If most of his kind were now dead, or lost, or away from any spiritual center. Names had to change to reflect such loss. If so many of his people were dead, their name would now be k'chamanush. So the female Forerunner did not know everything. Chakas would have understood. Any human on Erde-Tyrene would have known how to voice respect for those now gone. But how far away gone? To far to reach? If he died on this sky-boat would he ever find the dead again? He shrugged out his arms. "We were never many," he said looking around with a squint, "How many now?" At the female's direction the chamber's lights glowed brighter. He saw that other Forerunners were examining the sleepers, mostly bigger humans. He tried to count, but they, too, were not many. And these Forerunners were all Lifeworkers, there were no fighters, none like the Didact. So few of anybody. "How many are left of your people?" Riser asked in a low voice, not sure what he wanted to hear. She did not tell him that. Perhaps the truth was not good for her. Perhaps she did not know. "My name is Growth-Through-Trial-of-Change," she said. "The one known as Riser may call me Trial." Now, at least she was trying to follow the forms. He pursed his lips. "Trial," he said managing that name well enough. He raised his right hand and held out his fingers for her touch. She smiled. That she could smile struck him as odd. He never saw the Lady smile, not in his dreams. The Didact had never smiled. Bornstellar, however, had been capable of a kind of twitch of the lips. This one, Trial, might be young then, like Bornstellar. She might not know much, but she was apparently in charge. After some hesitation, she cautiously extended her fingers to brush his own. With a grimace and clack of teeth, he grabbed her wrist and quickly scratched the back of her hand with one thick nail. The Lifeworker did not flinch, did not react at all. Not at first. The scratch quickly closed, but for a moment Riser smelled her blood. Her skin was cool, even cold. But she was flesh, not a machine, not a spirit. "There are words and ideas you need to know," the Lifeworker said, only then withdrawing her hand. She gave it a little shake which gratified him, and he curled his lips. Then she looked somber. Uh-oh, he thought. "You already have some knowledge," she said, "A new kind of geas. Here is more." The radiant jewel grew. He tried to fend off its light, but something held him in place. He looked up at her steady, earnest face and forced himself to surrender without a scrap. Things were very different now as in other hard times he would have to be smart, and flexible, and think for all his people. The jewel's light drew up around his head, entered his eyes and ears, spread down through his neck into chest, and body. He lifted his arms and saw his veins glow. There were so many, so alive, beautiful! And Riser was not afraid. The glow faded, his flesh turned opaque again. He stretched. He was different, but only a little. He did not remember the pain as sharply. That worried him. What else would he forget? "Where are we?" he asked. Trial sadly closed and sealed the empty prison bed as if she knew this is the last time it would ever be used. "We are in a medical facility high above the second Ark, far outside the galaxy," she said, "A safe place. Humans will stay here for a time while we make preparations. Then, you will be returned to Erde-Tyrene." "And where will Forerunners go?" Her sadness deepened. "We will soon wake the rest of the chamanush and prepare them as well. Please come with me." Riser followed Trial as the Lifeworkers raised the prison bed canopies and roused each sleeper with the radiance. They opened their eyes, their veins glowed, they became a little different as well. There were about thirty k'chamanush all told, not a large group, but that suited him. As always, few and small, and proud of that. "They are ready now," Trial said, "They need you to be strong." Obviously. Riser took the stance of a leader, the greeted the newly awakened ones with a trilling click-song of loss and recovery. This song was forceful, brooking no descent. That alone told them what they needed to know: they were still in trouble, still not free. Their lives were still not their own. Some he had met before, had known on Erde-Tyrene. Others he had met during his time with the Forerunners. Some he did not know at all. They all seemed odd to be in the presence of the Lifeworkers who so resembled the Lady who came to them before birth. But that one was not here. With the new geas, the fresh knowledge spreading through his body, Riser tried to put his most recent memories in order and see more clearly what they implied. When the great sky-boat arrived at the Ark, Lifeworkers gathered all the humans and guided them through the immense cavernous hold to an awaiting cluster of smaller ships round and silvery like fat fish. Inside Riser's ship, it was dark and crowded and everyone and everything made strange noises. The k'chamanush nervously held each other and clutched hands and softly cooed and trilled. Riser tried to calm them with his whistle-chirp song. "I have been in these moving places before," he said in that musical form. "We can trust the Lifeworkers, they serve the Lady." Everyone needed to be calm so he told them what they needed to hear. The survivors look towards him for guidance. That he was used to. He had run the city of Marontik, large parts of it once. He had trained the young Chakas in the craft of thievery and deception, and he had bitten the Didact! Riser's chest swelled at that flying memory. The fish-ship opened its doors on a hill overlooking the edge of a strange village. Riser emerged first, theatrically stretched his limbs, and sniffed the air. The others stayed back for the moment. Clusters of metal huts had been arranged at haphazard fashion along a shallow twisty river. Smoothly trod dirt paths wound between the huts, but the air did not smell of animals or people, did not smell of breath and farts and sweat, of being lived in. The door coverings were also strange. Woven of some coppery shiny fiber, jarring and false. He chuffed. Typical. Forerunners had studied human villages and then copied them without understanding how they were used or what they were made of. They ruled the skies but knew nothing of what lay beneath. The land surrounding the village were also wrong. Tall, thin-leaved trees he did not recognize rose up here and there with no community, no enthusiasm. They were strangers here themselves. Flowering bushes thrust from the thin soil. Again, like none he had ever seen before. Their bloom was poking out tufted yellow rods that swayed in the sterile breeze. Everything smelled too clean, too fresh. Like just before a thunderstorm. The light was odd too. He looked up at the sun. Not at all like the sun he was used too, nor any of the suns he had seen since meeting Bornstellar. This big false light hung and pivoted on its side to cast nighttime shadows on distant lands. Riser wheeled about, dizzy. Lands that rose up on all sides, like the petals of a huge spiky flower. Typically Forerunner, false, immense beyond his ken, impossible! Next to the false sun, nearly obscured by that brilliance, he could make out dim swirling spirals that glowed with ghostly power. Like dribbled milk soaking into black mud under moonshine. These swirls must be very very large, and very far away. He had seen something like them on Erde-Tyrene. Some had called that glowing milk-soak in the sky Heaven's River, and said it was the beaten down trail of all fixed and wandering spirit lights, but not the same. Not at all the same. Nothing familiar! He nudged Trial, she looked down at him. "What is that?" he asked and pointed towards the swirls. The others listened closely. "That is the galaxy," Trial answered matter-of-factly. His confusion was painful. "You give me words but I still don't feel them!" Riser said. Around him, the others, his people and the bigger humans lost in hugeness, began to moan, and then to wail. Trial looked around her, put on a stern face, and tapped her hands together. The wailing stopped. Impressive, Riser thought. She is not so young. "That out there is all the suns and worlds we know, including the one you knew," she said. "Where we are now, the Ark, is far outside that great spinning wheel of suns. There is no reason to cry out, you are safe here. We are safe here, protected from everything that has happened." Riser decided to give it a go. He stared up at the gal-axy, working to understand better. The others watched him, some fearful, whimpering as he tried to absorb it. So great! So somber and dim and beautiful! From here, it might as well be apart of a dream, a great spirit, a big other was having, in which he was only a tiny part. Maybe it was the Lady's dream. He could live in the Lady's dream. Then something in his head clicked and the new geas brought forth memories both suppressed, and new. The jewel's words and images rose up behind his eyes and he saw, knew, for the first time, desolation. Villages deserted, farms abandoned, empty, roads stretching to empty houses. The great world scrubbed, and swept out like plague-filled huts! Everything he knew, gone! Sad crumpled bodies not even given time to rot! Dissolving, sinking into the dirt! That made him cry out. Not even bones to bury or burn! For a hot moment he hated them all, he hated the Lady! He growled in his throat and his fur bristled. The others whined and trilled and backed away. Did they suffer? He hoped it was quick. One moment alive, the next gone. Not even dead, just gone! He wondered if all the dead could travel to the western lands without someone like him to sing their names and guide them. He could not imagine so many songs all at once! When his time came, when he died, would there be any left who knew his real names, that could sing his song? The spirits who protected and understood him, and intervened between them and those who walked but had never lived, and those who had died badly. Would he see any of the good dead again? Or were their spirits destroyed utterly as their bodies? Could spirits die? Were they fading and decaying even now in that great spiral of suns and dirt places? An evil dream, everything upside down, everything eaten and defecated by evil things. Dissolved, broken, lost spirits wailing in darkness, reaching out in agony! And Riser could not descend into the caves and learn from what was painted there, learn what to do! He writhed, spittle on his lips as if he were mad. The others fell down and wept as well. Trial did not try to comfort them. They were reimagining everything, and that would take time, and it would be painful. Riser already understood this much. Without people in that dim place of suns, the places of land and dirt and water, the animals that still lived might move in. Rats and mice, some birds. Vines would grow and climb over the walls, but the animals would not know their names or their places and would behave badly, and the vines would be weeds without order! This could not be the Lady's doing, but it had happened anyway! And that meant the Lady had no real power. She came to them when they were born, but her promise was a lie. Trial stood unmoving, watching, letting them feel and absorb. Finally, Riser got up and spread his arms, and then shrugged. "That has changed," he said to her. "And your people?" he croaked. The geas allowed him to see this as well. Above the places that were dirt and water, the great Forerunner ships would float forever through the sky, empty, their crews gone. They killed Forerunners too! Impossible to imagine the size and reach of it. Too vast to understand-- Enough! Riser focused on the other fish-ships, the other humans emerging into this false strange world. They were walking out of the rounded hulls in the company of other Lifeworkers, staring at the village, facing their own geas sounding their own moans of dismay. Not home. Riser wiped his lips. "We are tired," he said. "We need to eat and sleep." Trial looked down upon him with sadness and perhaps admiration. He was smart, this Florian, this little one. No wonder the Librarian had favored him. He adapted. Quickly. They were allowed a little rest and time to adjust before going into the new village. Food was brought by machines. It was not good food, but it filled their bellies. From where he squatted on the top of the hill, Riser could see other villages scattered across the landscape, and more fish-ships arriving to disembark their living cargos. He turned from horizon to horizon. The sides of this big place either fell out into darkness, or stretched up into the sky like a Halo stomped flat and shoved around. That thought reminded him of the last Halo he was on and he grew nervous again about what had frightened the Forerunners, why the great wheel had been made. He wiped his hands and stood up beside Trial who was waiting patiently. "The Flood are all gone now, yes?" he asked. "Yes," she said. She began to say something more but did not finish. Something she doesn't want to tell me. The Lifeworkers then guided the humans in groups through the village like children. Riser saw quickly enough that the Lifeworkers were in the charge of a tall female. Her name was Chant-to-Green. "She is the new Lifeshaper," Trial explained. "But she is not the Lady," Riser said. "No, the Lady tasked her. Chant-to-Green does her work now." The huts were heated and gave shelter from the elements though the weather was mild. There were beds inside, not prison beds, and tables where all could sit. Food was not served in the huts, but fountains inside bubbled tasteless water. The water from the shallow river was safe to drink, not always true on Erde-Tyrene especially when the grass eating herds tried to ford all at once. And the crocodiles feasted on them, then there had been blood and foulness. This river, no herds no crocodiles. Strange what one could miss. Larger buildings between the clusters of steel huts were filled with more low tables where food appeared when nobody was looking. More than enough food for everybody. "No one would ever go hungry again," Trial said. She seemed to hope this might make up for other things. Forerunners had always imagined Riser and other humans to be a little better than animals. Happy enough if their bellies were full. All but the Lady who had understood, and was now... He would sing a song for her when there was time. Riser sniffed at the food but again, it was not particularly interesting. Nothing what he liked to eat at home. It was brown, sticky, lumpy. No insects or worms or small birds to liven things up. Full bellies perhaps, but no happiness. His people were not animals. After Trial had introduced them to the food buildings, Lifeworkers gathered the humans large and small, and explained that their new geas would help them understand which plants here were safe to eat, and which could help them if they fell ill. Riser sniffed again. That had been his specialty, teaching others the hidden uses of plants and herbs. These Forerunners thought nothing of learning, only of knowing. A tall human asked about hunting. There were no animals in this part of the Ark, the Lifeworkers replied. Chant-to-Green, came then amongst them, listening and watching. He tried to catch her eye. She did not notice him. Not at all like the Lady. She favored me. "How long will we be here?" asked another human, a tall olive skinned round faced woman of a kind Riser had not met before. "Until things are prepared on Erde-Tyrene," Chant-to-Green answered. "And until we are certain that the danger is over." Now she looked around, and her eyes met Riser's, and she smiled! Or tried to. She knows who I am! Riser thought. And that thought made him chuff and rub his nose. Despite the explanations the jewel words the geas laid over them, the humans still seems lost and afraid. They had been taken from their homes, dragged from everything they knew and brought to this solid, but unreal place. And so few! Though Riser could not reckon larger numbers without using his fingers and toes, then counting multiples with taps on his teeth, he could judge vastness as well enough. Even with all the other villages here on the Ark, there was no way these crowds could be everyone from Erde-Tyrene. That place had been much to big, with too many people. Far more than he had ever met. Now they had been reduced to this. Did the Forerunners calculate how many to take, how many to leave behind to be destroyed? How many had been lost to the Flood, the Shaping Sickness? Trial and Chant explained that they would be living a ways away from the village as in a high tower jutting out of the side of a false mountain. A throne from which to watch their pets, Riser thought, Forerunners arrogant even in their last days. But his position with regard to the new Lifeshaper was softening. He wondered how much like the Lady she would become, given time. By the second wake cycle life had settled down to a routine. The people had moved into their houses and gotten used to the brown lumps they were fed. They walked from village to village in hopes of finding absent friends and family. Usually those hopes were dashed, but Vinnevra was in the next village over and when Riser found her they embraced and then backed away, embarrassed of the display. Vinnevra asked after Chakas. Riser did not have the heart to tell her what he had seen. There were other races here too. Some strong and sinewy, others squat and broad. There were even the San 'Shyuum he had encountered with Chakas and Bornstellar so long ago. Many strange others Riser did not know the names for. A whole spectrum of races and peoples mingling. This was not so unlike the afterlife after all. Many tears were shed in the huts by night. Some from sorrow, some even now from fear. Riser comforted the other k'chamanush and told them the new Lady would watch over them just as the old one had, even if he did not yet believe this. They needed comfort. The Forerunners mostly kept to their tower. They said they needed time to plan the return. The night-shadow from the rotating sun never quite fell across its peak and it always shown with a bright silver glow against the black space above. "Bornstellar," Riser said slowly raising an open palm in greeting. Then, even more slowly stretching out his fingers. "You have changed." The Forerunner doggedly brushed Riser's fingers. "But you are much the same, Morning Riser," he said stooping slightly to fit beneath the roof of the hut. He knelt on the floor. "Good to see you alive," said Riser, struggling to make his tone match the words, "Too many dead." This new form, larger and more like the Didact than what they had seen on the other Ark made him nervous. "Far too many," Bornstellar said inside deeply. "You fired the Halos," Riser said keeping his face impassive to mask the anger he felt. "There was no choice, not at the last. It had to be done." That explained some nasty components of the Forerunner's smell. Guilt. "You have changed, Bornstellar. Where once I saw curiosity, now I see war. The Forerunners played with lives like gaming stones. You chose to end the game." Bornstellar closed his eyes, and tended his hands together, "You've changed as well. Your speaking-"
"The geas. I am not Riser now. I, too, need a new name." "Oh, you are still Riser. Still quick to judge, and judge true. Yes, I ended the game," he said. "What we have left, we owe to my wife. Would have all Forerunners possessed her wisdom, things never would have come to this." "Lady?" Riser grimaced at the concept, recalling his encounter with Bornstellar and the Lady, after the terrible events on the first Halo. Difficult to imagine marriage to such- his marriages, but that way led to sadness. Bornstellar hung his head. "I do not think so." "Brings sorrow," said Riser. The Lady might still live in dreams and in the past, his dreams had often been more real and beautiful than life. "We have all lost so much," said Bornstellar. They took a moment to remember the absent. "If you became the Didact," said Riser, "Then perhaps your judgment was clouded by his. His hatred of our people, his spirit guided you, not yours." "No," said Bornstellar, "In the end the choice was mine alone, and I would do it again, my old friend." He closed his eyes again, collecting his thoughts. Riser chuffed. "Then on your spirit be it. Look around you -- pleased?!" "I am sorry, Riser. I would have done it another way if it were possible." He rose and pushed aside the hangings, then paused and looked back into the shadows of the small form coiled there, bristling all over. "I will be leading a ceremony soon. A sentencing. I hope that it will bring some justice, some finality. I would be honored if you would join me." "Forerunner justice," he growled low and deep, "We will see what that means." The great ship descended slowly through a vivid blue sky. Swarms of Sentinels rose to greet it, thin beams of energy tethering it to them so they could guide it safely to the dock. Two massive angular arms rising from the pedestal on the desert sand. Riser stood by Bornstellar's side watching the proceedings from a platform high above the ground. He felt awkward in the presence of these Forerunners, their bulky armor shaped for ceremony, but there were also a few other humans. As the ship approached, its drive pulsed deep notes that resonated within the Florian's chest. The dock arms reached up to meet it, locking onto the ship's broad hull and lowering it carefully into place. The ship touched down with a loud and final boom. Near the ship's bow, a three-winged door retracted. Cold fog welled up inside, puffed out, then swirled away in the rising heat. A hard light ramp flickered into being. Through the last of the inner mist emerged a massive structure. An oblong of silver-gray metal, its surface inscribed with glowing blue lines that pulsed in rhythmic patterns. The oblong descended to float just above the ground, where a flock of sentinels received it and dragged it forward with hard light tethers. Riser was reminded of pallbearers carrying a coffin. The sentinels guided the oblong across the dock and down to another unfinished structure still being shaped as they watched. Constructor machines like spiders spun hardening cocoons of metal around slowly ascending frameworks. Then Riser understood. From below the rock and sand out of the Ark's deepest foundation, a massive tomb was being prepared. A void had already been cleared to receive the coffin. Sentinels dragged it to the edge of the void, a strange grave at a place where there was no real dirt, no real planet, and latched into the waiting frame. The oblong coffin's blue lines flowed outward spreading into the confining struts. Riser puffed out his cheeks and looked up at his tall companion. Bornstellar was observing the ceremony with a gray, grim face. Hard to read. All Forerunner fighters looked gray and grim to the Florian. When all was ready, Bornstellar raised his arms to address the tomb. "Ancilla 05-032 of the designation Mendicant Bias, you have colluded with the greatest enemy of the Mantle." "Those who pass judgment should first judge themselves," the voice now echoed off far bluffs and canyons, "Judge themselves, judge themselves..."
"A sin to fight a sin," said Bornstellar, "a lesser evil to fight a greater one. That is the choice I was forced to make. You had no such excuse, you brought matters to this point." "Why was I spared, then?" "You are brought here to be sentenced. You have not been immediately destroyed because you may yet be needed. Your intimate knowledge of the Flood makes you invaluable should they return, but we can never trust you, never again allow you any latitude. You will be entombed here. Your processes locked, frozen into a single thought for all eternity: absolution. Should you be needed, you will be reawakened. Should there be no need, you will be buried here until the end of Living Time." "Then I will serve as a monument to your sins. That is what you wish for." Bornstellar shook his head. "I wish only for the Mantle to be upheld." "I am penitent. I know that what I have done cannot be forgiven. I will accept my stasis with grace and await a time when I might redeem myself." "Aya, so shall it be," said Bornstellar. He reached out to a pylon, spread his hand across the controls as they appeared and closed his fist. The constructors finished their webs and sealed themselves into the tomb's fabric. Mendicant Bias's coffin was locked in place. The entire structure dropped slowly below the ground into the void and the foundation metal, its blue lines pulsing more and more slowly. "One thought for all eternity," said Mendicant Bias. His tone sounded almost wistful. Now the lights were fading, flickering, going dark. The tomb turned as black as night. The machine's final words spread across the false desert and echoed moments later from the false mountains. Bornstellar, Riser, Trial, Chant, and all the rest watched silently as the rest of Mendicant Bias, locked in eternal exile, was covered by sand. In the seventh season, blue globes of light hung in the air above the villages. Singing and the beat of wooden drums rose from the hills. People talked and laughed in the streets, and drank sweet berry juice squeezed from the bushes. Fermented just enough to give it an edge. Even the Forerunners came down from their tower and joined the humans. Riser had suggested the idea to Bornstellar. "We should have a wake for the old galaxy, and a birth-feast for the new!" The idea had caught on. All the villagers threw themselves into preparations. The Forerunners consulted with the humans on what foods to prepare and bring, and ended up with a reasonable facsimile of a spicy vegetable stew. Riser could not convince them that meat, even in facsimile, might be better still. Humans prepared their own delicacies from the newer fruits and plants from the surrounding hills. The Lifeworkers were improving the landscape, bit by bit with such details. The mood was strange. So much had been lost, and the pent-up emotions quickly gushed to the surface as wild dance and howling songs filled with pain. The k'chamanush sung a great epic of a warrior who many times tries to retrieve his love from the underworld, but never succeeds. Though the other k'chamanush could not understand all the words, the message was plain: Life is passing, and death is eternal. Remember the past, but honor it in the present. Eulogies and dirty jokes crowded against each other. There was crying and laughing, and sometimes both at once. Vinnevra met Riser again. They shared memories of their time on the Halo. Riser listened aghast, enthralled at what had happened to Chakas and Vinnevra, and her father[note 1] before he had rejoined them. As well, he told her his experiences. Others listened and spread word. Before the assembled crowd with much encouragement, after Vinnevra was thrice rebuffed when she tried to escape, they ascended a scaffold and told their tale anew as a great adventure. Half drunk with the fermented juice, Vinnevra quickly caught up with Riser as he sang and whistled and chanted. Pushing back for a moment the horrors they experienced, they piled wild tale on wild tale, all of it true, if embellished in the moment. "We faced ten thousand twisted monsters!" Vinnevra cried, "An army of diseased flesh! And leading them, a god-beast three hundred hands tall, all part of the schemes of the Master Builder! May he be forever eaten by flies!" She spat on the dirt, and ground it under her foot. The audience roared. From dozens of meters surrounded by the raucous humans, Bornstellar and Chant-To-Green listened. She touched his shoulder. "Brave friends," she said softly to him. "The greatest of friends," Bornstellar said. "Then we were prisoners in a village of ghosts!" said Riser, "With the Installation 07's Wolf-Moon coming closer, so close, bad Forerunners wanted to make everyone to ghosts, but I tricked them! I freed Chakas, so Chakas could save us all! Only the spirit inside Chakas could stop the Wolf-Moon!" Vinnevra looked far away in remembrance of their lost friend. Riser took a cup and filled it to the brim. "Remember Chakas!" He raised the cup over his head in toast. "I have never met a k'hamanush so brave. May his spirit eternally watch over us, and keep us safe." Bornstellar and Chant raised their cups high as well. Another Warrior-Servant, aide to Bornstellar, took a deep swig, then pursed his lips and violently spat out the bitter juice. Everyone laughed, then fell silent as they saw his foreboding scowl. The Warrior-Servant, at a glance from Bornstellar, wiped the juice from his lips, snorted an approximation of laughter and took a deep stage bow and everyone laughed again. The tension was broken. Forerunners were gods no more. Just people like the rest of the k'hamanush. The humans tried to bring them into their dances, teach them songs, and watched with humor as they awkwardly mimicked their smaller, lighter companions. The festivities went on well into the night. The sun was just beginning to rotate back around the disc, a pale golden light touching the nearby hills. Most of the revelers, the mourners had already sunk down in sleep. Riser sat in the branches of a tree on the far end of the village watching the river lazily run sunward. "Can I join you?" said a voice from below. It was Trial. Riser nodded and patted the branch. She climbed the tree, pulling herself up the branches with surprising grace for her size, and sat in the crook of Riser's branch, dangling her long legs against the trunk. "You know," she said, "Humans and Forerunners were always meant to be brothers, not to fight like we did." "Brothers fight too," said Riser. "I never had siblings," said Trial. "I had a brother," said Riser. "When we were young, we would wrestle to see who was strongest. He was older, and usually he won. But when I got older and won, I never let him forget it." "What happened to him?" asked Trial. Riser shrugged. "His bones are mush or ash I suppose." "You are strange for a human," said Trial, "You get along so well with others. You feel the urge to lead, despite your size." "Because of my size!" Riser chuffed. "But I see clearly you prefer to be by yourself." "Your name seems to suit you," said Riser. "Trial means judgment, it also means trouble. How did you come by it?" "It was given to me by my adopted family," Trial said, "I was not always a Lifeworker, but that was a millennia ago, and that world is passed now, gone." "What happened to your birth family?" asked Riser bluntly. Trial shook her head. "They were Builders, dead before even the Flood arrived. A sudden implosion of a nearby star as they traveled between worlds. But before that time, when I told them I wished to be a Lifeworker, to change ranks, they were very angry with me. They said they would cut me loose. Then, they were gone. I had to honor them, but also honor my own instincts. My fellows cut me loose, but the Lifeworkers took me in. This trial would change me, allow me to become who I am, and prepare me for the great struggle that followed." She put her hand on Riser's shoulder. "Take it from one even older than you, Riser. Life is little but trials. It is how we let them shape us that makes them into who we are. Forerunners failed their trial. Now it is the humans' turn to assume the Mantle." "We cannot do much worse," said Riser, then felt a stab of doubt. He softly chuffed, but did not argue. One morning without any warning, a portal was created just above the false lands of the Ark. Forerunners went from village to village, gathering up the humans, taking them into the hills, guiding them into the round silvery fish-ships. It was time to return to Erde-Tyrene. Groups of the different humans would be seeded at selected locations. According to Trial and Chant, this was the way Forerunners would help reawaken and reseed humanity's birthworld. Riser did not ask if Forerunners could stay and help sooth the inevitable crowds of angry ghosts. More parties, perhaps, more drinking and songs. But even the Lifeworkers remained stubbornly ignorant to such difficulties. Perhaps, he decided, it would be best to not go back where all the ghosts would recognize him. "Can you put my kind on a fine green island in the middle of an ocean?" he asked Trial. "I was raised on the grasslands in the dry and the heat, but I've always wanted to live on an island bigger and better than the one in Djamonkin Crater, where I could walk along the restless beach and feel the sun on my skin all day between the splashing of waves and the storms. Some place that I could explore in my lifetime, and pass that knowing along to my children if I am to have any. And if I do, I will tell them how we once made little walled mazes on another island far, far away, and they will help me gather stones and build." The words just seemed to tumble out of him, a great vision, a beautiful destiny away from all those ghosts. Which of the unhappy spirits seek him out, he thought, then those walls, so many walls, would confuse them, and he could sleep peacefully. She smiled. "Oh, there will be children, and it's the very reason you were saved." She assumed a thoughtful look, then flashed an image from her ancilla. "There is one place that might be suitable." He saw a beautiful beach, black sand flecked with white rocks. Then she showed him another place, a deep jungle island, very warm and moist and green. "We can place your kind on many islands," she mused, "There will be tiny elephants on this one. Just your size." "Would my people hunt them? Would you allow that?" "For little elephants as well," he agreed. "Is that your wish?" she asked. "It is my wish," the Florian said, happy at last. The slipspace gate spun wide in the sky above, a dark blue bubble that burned brighter than the artificial sun. The ships lifted off, the wind of their wake blowing through the abandoned villages. One by one, they rose to this passageway. And so the humans were returned to where it had begun so long ago: Erde-Tyrene. The fish-ships emerged from a dusty plane, not far from where Marontik had once been. Portal at Voi|An enormous Forerunner machine, splayed open, partially buried in the earth. Surrounded by a frenzy of clouds and rain as the energy of the portal whipped up winds. These ships paused, and disembarked many. On the ice sheets of the north they left others following patterns established before, by the Lady. Each ship charted a different course according to her plans, and according to some new plans. Trial's and Chant's, and Riser's. And so brought humankind, those few that remained, both to old and new corners of this ancient, haunted world. A craft bearing the k'chamanush touched down on a long and glorious beach. The sun was just beginning to set in the west. This was the real sun, turning orange and yellow and red, even briefly green as it fell behind layers of dust along the horizon. Riser stepped out of the fish-ship and touched true ground, true dirt, broken leaf litter, black sand, for the first time in far too long. For a moment, he was afraid. He had changed so much! But he walked towards the waves, lapping on the darkened wet of the tideline, and stood there, toes digging into the moist sand, and then, he hooted softly to himself and smiled. The other k'chamanush joined him and splashed, and threw water on each other, then returned to the jungle beyond the dry sand and together looked out through the trees where they felt a little safer toward the far headlands of this island that was to be their home. It was deep green, with ridges of rugged mountains, warm and moist, and inland, a very tall broad mountain lorded over the sky and Riser fancied he saw some snow there, very high up. Here and there, they could all hear waterfalls. "This will be a good home," said Riser. "Yes!" another agreed. Trial now stepped down from the fish-ship, so much taller than the diminutive crowd at her feet. Bornstellar emerged behind her, taller still, but looking more humble. More human if that was possible. "I'm glad you like it," he said, "The Lifeworkers have done very well. I wish you all the best of lives. Our ways must part now, we will not meet again, not in this world, young Riser." Riser chuffed at this slur on his age then cocked his head to one side, approached the pair where they stood beside the fish-ship, and held out his fingers. Without hesitating, Trial brushed them, then Bornstellar. "We will do what we can with what we are given," Riser said. "But what of you? Where will the Forerunners live?" "I do not know," Bornstellar said, "Not yet. All I know for certain is that we cannot return to these places. We have already meddle too much in the affairs of others." Riser grimaced. "Forerunners refusing to meddle? Is that a promise?" "Truly this will be a different place," Riser said. "The portal will stay," said Bornstellar. "Ah, then you have lied," Riser said, but with no anger or surprise. "It will be buried to be found when needed. Perhaps one day your children will make their way back, and, I hope, meet our children." "I doubt even I will long enough to see that day," said Riser. "But it is good to think our young will rise to another challenge, as brothers should, making trouble, finding strength." Bornstellar felt this deeply, and even with his armor to protect him, the emotion was almost too much. "Hope," was all he could say. Then they returned to the fish-ship and left the humans alone to find their way. From his place in the trees, Riser watched the Forerunner ships depart over the ocean, over the horizon, and into the final red glow of the sunset. Then he climbed down and gathered up his people to begin exploring. It didn't take Riser long to realize that they had all lived through a long, and very strange dream. In their dream, humans, Forerunners, everyone in the galaxy, had been stripped of their worldly might and bluster, and made to come together as one. Could that have truly happened? He chuffed and walked ahead of the small group. The small, lovely men and women whispered like passing breezes, and sang like little birds, showing how delighted they were to be free, to be alive. Soon enough they would lie down and make young ones. This was a very good place for young ones. Perhaps it was time to welcome the ghosts after all. He would have his people build walls, not to confuse, not to shun, but to guide the ghosts, to help them remember where they belonged, and who still honored their memory. It was time now to awaken, to live again. He took a clump of earth in his hand and squeezed it hard to reassure himself that it was still real. There would be war. That was inevitable. People would kill each other, there would be suffering and cruelty, and people would forget those past sins and live out new ones. But despite all that, life would continue, and the dead would return, and be met with joy. Riser released the dirt of the earth, let it fall from his grasp, and blow away in the wind. ↑ Gamelpar est indiqué comme le grand-père de Vinnevra dans Halo : Primordium, et non son père. Dernière modification de cette page le 3 juin 2018, à 11:18.